According to a poll carried out by the European Parliament this fall, 81 percent of Estonian citizens believe that Estonia has benefitted from being a member of the European Union, while the average indicator in the EU stands at 64 percent. 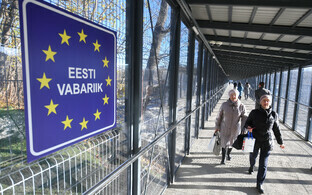 The main reasons given in Estonia include economic growth, new possibilities for work that have opened up, the EU's contribution to ensuring security and improvement to the standard of living -- these opinions were expressed by 49 percent, 46 percent, 33 percent and 32 percent of respondents, respectively. Results of the survey show that European citizens have been developing a more positive attitude towards the EU since 2016. The average percentage of EU citizens who now believe that EU membership is good for their country stands at 57 percent, while in Estonia this opinion is shared by 68 percent of respondents. European citizens also clearly expect the EU to help protect them against certain threats, with 58 percent citing terrorism, 43 percent mentioning unemployment, 42 percent naming poverty and exclusion, and 35 percent expecting protection from uncontrolled migration. According to respondents in Estonia, the instances when the EU should first and foremost offer them protection include terrorism and uncontrolled migration, with 56 percent and 54 percent of respondents citing those threats respectively. Those are followed by poverty and exclusion with 35 percent and unemployment with 33 percent. President of the European Parliament Antonio Tajani said that the results of the survey were very positive and encouraging. "These show that the confidence in our institutions and our work continues to grow and that we are leaving the crisis of recent years behind. Naturally, in some areas, views vary from member state to member state. This should inspire us to step up our efforts to tackle the concerns expressed," he said. "In general, people increasingly see the EU as a key player in tackling the big challenges and protecting them against common threats such as terrorism, unemployment or poverty and exclusion," Tajani added. The survey shows that citizens expect the European Union to safeguard their fundamental rights, with 44 percent of the respondents expressing that opinion. Altogether 36 percent of respondents expect the right to work, travel and study anywhere in the EU, while 34 percent expect labor rights, 34 percent wish for adequate pensions and 33 percent want economic well-being. The European Parliament is first and foremost expected to safeguard human rights, freedom of speech and gender equality -- with 56 percent, 34 percent, and 32 percent of respondents respectively expressing those wishes. Respondents in Estonia consider most important the right to work, travel and study anywhere in the EU, with 52 percent expressing that wish. This was followed by the protection of fundamental rights and adequate pensions with 38 percent. 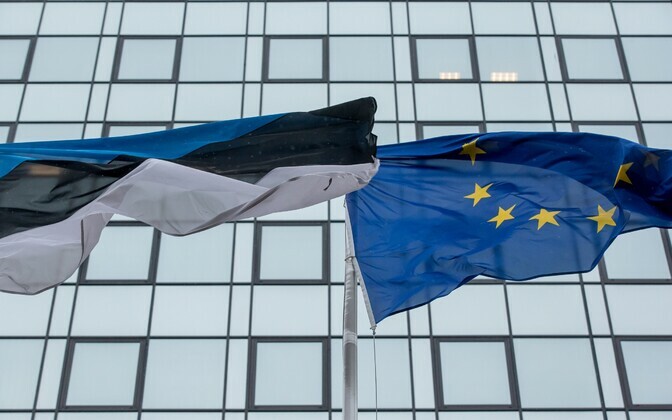 Estonian citizens expect the European Parliament to safeguard human rights, freedom of speech and standing for the solidarity between EU member states -- with 58 percent, 36 percent and 27 percent of respondents respectively expressing those wishes. Altogether 41 percent of EU citizens expect the European Parliament to support action against poverty and exclusion, also 41 percent citing protection against terrorism and 31 percent naming tackling youth unemployment. In Estonia the most important fields that the European Parliament should handle include the fight against terrorism named by 44 percent of respondents and tacking poverty and exclusion cited by 36 percent. A total of 55 percent of the respondents in the EU and half of the respondents in Estonia stated being interested in the European Parliament elections to be held in spring 2019. Altogether 47 percent of respondents felt that their voice counts in the EU, which is the best result since the 2009 European Parliament elections. In Estonia altogether 72 percent of citizens feel that their voice does not count in the EU, but 52 percent of Estonian respondents thought that their voice did not count even on the national level. The average indicator of that in the EU is 35 percent. Tajani said that "for us, as the people's Parliament, that means we need to deliver and that we will work even harder to fulfil people's hopes and expectations. I also take the results of the survey as a mandate for the European Parliament to increase its key role in shaping the EU's future. The best forum for debate on what the EU should look like, what tasks it should perform, or what powers it should have, is here, in the European Parliament." The survey is based on face-to-face interviews with 27,881 Europeans, aged 15 or more, in all 28 EU member states and was carried out between September 23 and October 2.